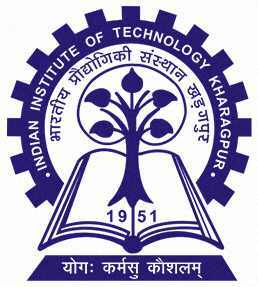 Latest News - IIT Kharagpur has declared the IIT JAM 2019 Results - Download Now!! About: Indian Institute of Technology Joint Admission Test (IIT JAM) was successfully conducted by IIT Kharagpur on 10th February 2019. IIT JAM 2019 is a National Level Entrance Test for admission for MSc, Joint MSc-PhD dual degree programs at IITs and Integrated PhD degree programs at IISc. Grandiosity: Indian Institute of Technology and Indian Institute of Science are well-known colleges in World because of the syllabus which they follow and for quality of education which they give to their students. Lecturers over there are well trained and can teach well by excelling their capabilities to the extent of their good perseverance. Level: It is a National Level Entrance Test organized by IITs and IISc for admission into their postgraduate courses of Basic Science. Conducting Body: IIT JAM is conducted by various IITs and IISc on a rotational basis, IIT Kharagpur is conducting body for IIT JAM 2019. Frequency: IIT and IISc conducts IIT JAM once in every year for admission into Post Graduate courses of Basic Sciences. Enrollment: Candidates who crack the IIT JAM 2019 can be enrolled in M.Sc. courses in reputed IITs and IISc university/ colleges of India. Two-year Master of Science (M.Sc.) Programmes in (i) Chemistry, (ii) Mathematics, (iii) Physics, (iv) Astronomy and (v) Biotechnology with an option to convert it to M.Sc.-Ph.D. dual degree programme during the second semester. Registration Date: Application Form was released on official website i.e. jam.iitkgp.ac.in on 5th September 2018 and last date to submit Application Form was on 12th October 2018. Admit Card: IIT JAM Admit Card 2019 was released on official website for students to download on 7th January 2019. Results: Result was declared on 20th March 2019 on official website, students can check results by entering their valid credentials. Educational Qualification: Candidates should have passed Bachelor's Degree, and should have minimum aggregate marks specified by conducting authority. Aggregate for students from different category is given below . General/ OBC (NCL) category candidates should have at least 55% marks or 5.5 out of 10 CGPA/CPI. SC/ST and PwD category candidates should have at least 50% marks or 5.0 out of CGPA/CPI. Nationality: Indian Nationals and Foreign Nationals can apply for IIT JAM 2019. Fitness Test: All admitted candidates are required to go through the medical examination to get a physical fitness certificate from a registered medical practitioner. The candidate has to check whether he is eligible or not eligible. Admitting Institute has right to cancel, at any stage, admission of a candidate who is found to have been admitted to a course to which he/she is not entitled, being unqualified or ineligible in accordance with the rules and regulations in force. Students can get more information about eligibility criteria in IIT JAM 2019 Eligibility Criteria section. Biotechnology (BT): Biotechnology test paper comprises of Biology, Chemistry, Mathematics and Physics. The syllabus will be of graduation level. Geology (GG): Planet Earth, Geomorphology, Structural Geology, Palaeontology, Stratigraphy, Mineralogy, Petrology, Economic Geology, Applied Geology. Mathematical Statistics (MS): Mathematical Statistics (MS) test paper comprises of Mathematics and Statistics. Sequences and Series, Differential Calculus, Integral Calculus, Matrices, Differential Equations, Statistics, Probability, Random Variables, Standard Distributions, Joint Distributions, Sampling distributions, Estimation, Testing of Hypotheses. To get more information about syllabus, visit IIT JAM 2019 Syllabus. Mode: IIT JAM 2019 are always conducted through online test which is Computer-based Test (CBT). Sections: Question paper will be divided into 3 sections (Sections A, Section B, Section C) based on type of question each section is containing. Duration: IIT JAM 2019 #examination will give students a total of 180 minutes (3 hours) to complete their examination. No. of Questions: Section A will have 30 multiple choice questions, Section B will have 10 multiple select questions and Section C will have 30 numerical answer type questions. Marking Scheme: +1 mark for one marks answers, +2 marks for two mark answers. Negative Marking: For an incorrect answer of one mark question 1/3 marks will be deducted. For an incorrect answer of 2 marks questions, 2/3 marks will be deducted. Medium: Medium of instruction of the question paper will be English. Candidates can get more information about exam pattern in IIT JAM 2019 Exam Pattern Section. Registration Date: Application Form was released on official website i.e. jam.iitkgp.ac.in on 5th September 2018 and last date to submit the Application Form was on 12th October 2018. Documents Required: Candidates should have scanned photograph and signature. Only online mode is applicable for applying to IIT JAM 2019. To get more information about application form, visit IIT JAM 2019 Application Form. Step 1: Candidate had to register on JOAPS website, by providing his/ her details like Name, a valid E-mail address, valid mobile number, and a password. Step 2: Upon successful registration candidate will be provided with his/ her login credentials like enrollment id and password. Candidate can use the given credentials to log in and fill out the Application Form. Step 3: Fill the Application from with proper details and proofread to check for any mistakes. Step 4: Upload photograph, signature and other documents like category certificate (if applicable), PwD certificate (if applicable), etc. Step 5: Pay the Registration Fee online (through Credit Card/ Debit Card/ Net Banking). Candidates can get more information in IIT JAM 2019 Application Process Section. Candidates can prepare well for IIT JAM 2019 by referring to books and improving their grasp on concepts. Interested candidates can also refer to sample paper books to test their grasp in the subject. To get more information about reference books, visit IIT JAM 2019 Reference Books. Locations: IIT JAM 2019 will be conducted in 65 different cities across India with IIT's and IISc as the venues by conducting authority which is IIT Kharagpur. Preference: Candidates can give 3 cites which are comfortable for them as their choice of preference while filling the Application Form. Change of Centre: In rare cases where number of candidates required for an opted venue is not reaching minimum required number then city/town of venue will be dropped from final list and candidates will be allotted a centre in the city of their second choice or third choice. However, because of operational constraints, JAM 2019 Committee reserves right to add a new city or remove an existing one. In such situations, JAM 2019 committee can allot a city that may not be any one of the choices stated by the candidate. Candidates can get more information about exam centres in IIT JAM 2019 Exam Centre section. Issue Date: Admit Card will be available online on official website i.e. jam.iitkgp.ac.in for candidates from 7th January 2019. Credentials: Candidates should go to IIT JAM official website (jam.iitkgp.ac.in), use given credentials (Login ID and Password) to login and download their IIT JAM 2019 Admit Card. Discrepancy: Candidate should carefully examine Admit Card for all entries made therein. In case of any discrepancy, Candidate should inform Organizing Chairman, JAM 2019, IIT Kharagpur immediately. Download: A printout of downloaded Admit Card must be brought by the candidate to the test centre along with original and valid photo identification. Note: Admit Card of IIT JAM 2019 must be carefully preserved by Candidate and produced at time of admission if required by the Admitting Institute. To get more information about admit card/hall ticket, visit IIT JAM 2019 Admit Card. Results: Result will be declared on official website i.e. jam.iitkgp.ac.in for all candidates on 20th March 2019. Merit List: A merit list will be released which will contain qualified students names and will be based on the ranks secured by them. Candidates can visit IIT JAM 2019 Result to get more information about result. Candidates will be able to check the cut-off of IIT JAM which is minimum marks required for each subject to be eligible for admissions for M.Sc programs in IITs and IISc. Cut-off of candidates depends on various factors like the number of seats available, difficulty of exam, number of students attended the exam etc. To get more information regarding cut-off, visit IIT JAM 2019 Cut-off section. Counselling: Candidates who have cleared the cut-off of IIT JAM 2019 will be eligible for counselling. These candidates will be called for counselling process on decided date. Counselling date has to be released by the conducting authority. Counselling Procedure: All candidates have to register themselves on official website to appear for the counselling. Counselling Fee: Candidate has to pay INR 600/- as counselling fee through cash in nearest SBI branch with E-challan generated online while registering for counselling. Accept and Freeze: By choosing "Accept and Freeze", the Applicant accepts offered seat and would not like to upgrade to his/ her higher preferences, if any, in subsequent rounds (if applicable). Accept with Upgrade: By choosing "Accept with Upgrade", Applicant accepts offered seat and would like to upgrade to his/ her higher preferences in subsequent rounds (if any). Reject and Quit: By choosing "Reject and Quit", Applicant rejects the offered seat and would not like to continue in the admission process by IIT JAM. To get more information about counselling, please feel free to go to the IIT JAM 2019 Counselling section. JAM 2019 is open to all nationals (Indian/Foreign). Candidates seeking admission to academic programmes covered under JAM 2019 need to appear in JAM 2019. There is no age restriction. JAM 2019 Examination will be held on February 10, 2019 (Sunday) as a Computer-based Test. For admission, foreign nationals are required to satisfy rules and regulations of Admitting Institute(s) pertaining to foreign students. For further details, they are advised to contact the concerned Admitting Institute(s). To apply for admission to the desired programme, a candidate is required to qualify in relevant Test Paper and also satisfy Minimum Educational Qualifications (MEQs) and Eligibility Requirements (ERs) of concerned Academic Programme. Candidates who have either appeared or yet to appear in final examination of their qualifying degree in 2019 are also eligible to appear in JAM 2019. By qualifying in JAM 2019, candidates can apply for a provisional admission subject to the condition that: (a) all parts of their final examination shall be completed by date of registration of Admitting Institute, and (b) proof of having passed qualifying degree with required eligibility, as specified by Admitting Institute, should be submitted by September 30, 2019. On basis of performance in JAM 2019, for each test paper, separate merit lists will be prepared for General (GEN), OBC Non-Creamy Layer (OBC-NCL), SC, ST, and Persons with Disability (PwD) category candidates. Admission to most of Academic Programmes at various institutes will be made on basis of Rank in JAM 2019. Requests for change of category, if any, with proper documentation, should reach Organizing Institute latest by May 07, 2019. Requests received after this date will not be accepted under any circumstances. Candidates should note that mere appearance in JAM 2019 or being in merit list of any test paper neither guarantees nor provides any automatic entitlement to admission. Qualified candidates will have to apply for admission as per prescribed procedure. Admissions shall be made in order of merit in each category and depending on number of seats available at the Admitting Institute(s). List of academic programmes, number of seats, eligibility requirement and minimum educational qualifications of each of programmes mentioned in this Information Brochure are subject to change, as per the policy of Admitting Institute(s). In this document, the phrases ‘Un-Reserved’ and ‘General’ are used interchangeably and they mean same. With regard to interpretation of the provisions on any matter not covered in this Information Brochure, decision of Organizing Institute shall be final and binding on all the parties concerned. In all matters concerning JAM 2019, decision of Organizing Institute or Organizing Chairperson, JAM 2019 will be final and binding on all applicants. Although JAM 2019 is held at different centres across country, Indian Institute of Technology Kharagpur is Organizing Institute and has overall responsibility of conducting JAM 2019. In case of any claims or disputes related to JAM 2019, it is hereby made absolutely clear that Calcutta High Court alone shall have the exclusive jurisdiction to entertain and settle any such disputes and claims. JAM Application: The IIT JAM 2019 application form should be submitted for admission for the IIT JAM before 12th October 2018. JAM 2019 Admit Card: The IIT JAM 2019 admit card can be downloaded from the official website on the 7th January 2019. IIT JAM 2019 exam date: The IIT JAM 2019 exam will be held on 10th February 2019. IIT JAM result: The IIT JAM results will be declared on 20th March 2019. IIT JAM 2019 Change of category or rectification of defective documents: The last date for receipt of a request for change of category in proper format/ rectification of defective documents at IIT Delhi is May 10th, 2019. UG Degree: IIT JAM 2019 candidates must have a Bachelor's degree from a recognized institution. Note: Candidates who have a degree from distance learning courses are also eligible for IIT JAM 2019. Candidates who are appearing for their final year examination can apply as well IIT JAM 2019. Reservations: 50% of the seats under the IIT JAM 2019 exam are for reserved category candidates. Marks: The General and OBC category candidates must have at least 55% marks in their graduation to be eligible for IIT JAM 2019. Citizenship: Indian and foreign nationals are eligible for the IIT JAM 2019 exam. The IIT JAM 2019 online application process will begin on 5th September 2018 and end on 12th October 2018. The IIT JAM 2019 application form will be available on the official website. Registration: Candidates have to register themselves on the official website by providing their personal details and contact details. Enrollment Number: Once the registration process is complete an email which contains the candidate's enrollment number will be sent to the registered email id. Details: The candidate is required to login and fills in information about his/her parents, exam center, test paper and educational qualifications. Scanned documents: The candidate has to upload a scanned copy of their photograph, signature, and SC/ST/PWD certificate (if applicable). Once the above details have been filled and the form can be reviewed and submitted. The payment of IIT JAM 2019 application fee is the last step in the application process after which the form has to be submitted. Application form availability: The IIT JAM 2019 online application forms will be available from 5th September 2018 to 12th October 2018. Application Procedure and details: The IIT JAM 2019 application form will be available on the official website. Official site: The candidates can apply for the exam through the IIT JAM 2019 Apply Online Link. Filling form: The application form requires the candidates to fill personal and academic details and pay the fee as per the category and the subjects they opt to answer. Print & Preserve: The printout of the form and the payment receipt can be kept for future reference. Application fees: The IIT JAM 2019 application fee is INR 1500 for the General and OBC category candidates for one paper and INR 2100 for two papers. Concession for Reserved Category: For the reserved category candidates, there is a concession in the application fee to be paid. The fee is INR 750 for one paper and INR 1050 for two papers. Admit Card download: The candidate has to visit the official website and click on the admit card portal. Candidates have to enter the details asked for and the admit card is then accessible.The candidates are required to download the admit card and retain it until the end of the counselling round. Admit Card Details: The admit card contains details such as the candidate's name, roll number, date, time and venue of the exam. Admit card will not be sent via post by the examination authority and has to be availed from the official website. It is a mandatory document for answering the exam and should not be tampered with or plagiarized. The IIT JAM 2019 exam paper consists of three sections of questions. Section A contains 30 multiple choice questions out of which there are 10 questions carrying one mark each and 20 questions carrying two marks each. Similarly, in this section for a wrong answer to the questions carrying 2 marks, 2/3 marks will be deducted. Section B contains 10 multiple select questions carrying two marks each. There may be more than one correct option out of the four options. There are no negative or partial marking provisions. Section C contains 20 Numerical answer type questions which consist of 10 questions carrying one mark each and 10 questions carrying two marks each. The answer is a signed real number. Candidates have to enter the answer using a virtual numeric keypad. Questions which are unanswered will be awarded zero marks. Candidates will be provided with an online virtual calculator. Duration: The exam will be for a duration of 3 hours. Geology: The main topics are as follows Applied Geology, Economic Geology, Petrology, Mineralogy, Stratigraphy, etc. Biological Sciences (BL): The main topics are as follows Mathematical Sciences, General Biology, etc. Mathematics (MA): The main topics are as follows Real Analysis, Linear Algebra, Group Theory, Vector Calculus, Differential Equations, etc. Biotechnology (BT): This paper has questions from Physics (18%weightage), Mathematics (18%weightage), Chemistry (18%weightage) and Biology (44%weightage). The syllabus is 10+2+3 level. Mathematical Statistics (MS): The paper has two parts. The mathematics syllabus is as follows Differential Equations, Matrices, etc. The statistics syllabus is as follows Testing of Hypotheses, Estimation, Sampling distribution, Joint distribution, etc. Statistics carries 60% weightage and mathematics carries 40% weightage. Chemistry (CY): The main topics are as follows Organic Chemistry, Physical Chemistry, etc. Physics (PH): Simple Oscillators, Solid state physics devices, and electronics, Modern physics, Kinetic theory, Thermodynamics, etc. The IIT JAM 2019 results will be published on 20th March 2019. The results will be declared online on the official website of IIT JAM 2019 and can be accessed by the candidates. Merit list: Merit lists will be prepared for the General, SC/ST, and PWD category candidates. Candidates have to visit the results portal on the official website. The results can be downloaded from the portal and can be retained by the candidates until the end of the counselling session. The scorecard will show the marks obtained and the candidate's All India rank. Schedule: The counselling session will begin after the announcement of the results on the official portal of IIT JAM 2019. Eligibility: Candidates who are included in the merit list published by the examination authority are eligible for counselling round. Register: These shortlisted candidates are required to register for the counselling session through the official website of IIT JAM 2019. Application Submission: Candidates can submit their application form for admission on the IIT JAM 2019 website from 5th September 2018. Counselling Fee: Candidates have to pay a counselling fee of INR 600 via E-Challan through State Bank of India. The counselling session fee is nonrefundable. I had given IIT JAM exam for chemistry and my score was 31.33. I got qualified for JAM and Pune university entrance. The students should have scored 60% in their UG and clear IIT JAM to get admission. The cutoff is 30 marks. Entrances I took for my masters was IIT JAM 2018. Specific was biotechnology. Have to be thorough with basics. Eligibility criteria is minimum 75% in 12th and we should be having a minimum of 65% aggregate in PCM. There are three options to get admission in UPES 1. Through Upeseat that is entrance exam of UPES 2. Through board percentage which should above 90%. 3. Through IIT JAM exam. There are no typical cutoffs. The eligibility criteria for getting admission in Ramnarain Ruia College for Bachelor course is passing the 12th with good percentage. The cut-off varies but for an open category, it is about 68% and for Reserved category students it is a minimum of 60%. The students have to clear the IIT JAM to get admission in this college. Eligibility criteria to join Indian Institute of Technology was having a graduation in statistics stream. The students have to clear the IIT JAM to get admission in the college. The last cutoff was 39 AIR. The admissions took place on the basis of marks one scored at the graduation level. DBS PG College is affiliated by Garhwal University which is a central university and being this it is considered to be composed of an elite group of colleges with mu college being one of them. I cleared the IIT JAM exam. The typical cutoff for my course is about 70% at the graduation level if one is a general candidate and lower if one belongs to other categories. I took admission NIT Warangal through IIT JAM 2016(Admission test for M.Sc). Eligibility criteria was at least 55% aggregate marks, without rounding off, (taking into account all subjects, including Languages and Subsidiaries, all years combined) for General/OBC-NCL Category Candidates and at least 50% aggregate marks, without rounding off, (taking into account all subjects, including Languages and Subsidiaries, all years combined) for SC/ST and PWD Category Candidates in the qualifying degree. Cut off for M.Sc in NIT Warangal General-53.67, OBC-45.67, SC-22, ST-16. The eligibility criteria in Bangalore University, [BU] Bangalore was based on the percentage of marks scored during graduation. The entrance exam I took was the IIT JAM. The typical cutoff for my course is 82% or above. Why do i need to select three cities? Can i just Select one which I want? The candidate is most likely allotted an exam centre in the examination city of his/her first choice. Only in cases, where there are too many candidates opting for a certain city as their first choice, the other two choices shall be relevant. A candidate is required to fill his/her primary as well as secondary choices but should remember that because of operational constraints, the JAM committee reserves the right to add a new city or remove an existing one and allow a city that may not be any of the choices of a candidate. When is the declaration of the admission list of IIT JAM 2018? The declaration of the admission list will be on May 22nd, 2018. Click on the link to know the complete details on Important dates of IIT JAM 2018. Hi, I am Sonu need to know some reference books for IIT JAM? To know the reference books of IIT JAM, click here. When will the Counselling Session for admissions to IIT JAM 2017 begin? Do I have to apply for that separately? The Counselling session to IIT JAM will begin from the 12th to the 25th of April. Candidates should give in a separate Application Form to IIT JAM along with a non-refundable Counselling fee of Rs. 600, which has to be paid via E-Challan through State bank of India. How many times is the IIT JAM exam conducted? The IIT JAM exam is conducted once in a year. Can you give me a summary of the IITM JAM exam? The IIT JAM exam is conducted by IIT Delhi. It is an All India Level examination. It is a Postgraduate examination. The courses offered are Joint M.Sc.-Ph.D., M.Sc.-Ph.D. Dual Degree, M.Sc.-M.Tech. at IITs and Integrated PhD Degree Programmes at IISc Bangalore. When is the IIT JAM exam conducted? The IIT JAM exam will be conducted in the month of February. Will I get an M.Sc seat if I clear the IIT JAM examination? Yes, candidates who pass the examination will be enrolled into M.Sc courses in reputed universities and colleges of India.